Building a cottage in your backyard can be a great way to add space- Armchair Builder :: Blog :: Build, renovate, & repair your own home. Save money as an owner builder. Building a cottage in your backyard can be a great way to add space for extended family. Or maybe you need a quiet, inspirational place to get creative for your painting or writing. Even if your family doesn’t need the extra space, you can generate some income by renting it out. And the best part is, building a cottage can be a great project for the Armchair Builder to tackle. If you’re having a hard time getting your finances in order after the latest meltdown in the economy, you may be looking for ways to generate additional income. Building a cottage in your backyard is a great way to make use of your existing space. A modest cottage can be built by owner for as little as fifty dollars per square foot. Rents continue to rise due to the increased demand and shrinking supply of rental units. At the same time interest rates continue to fall, making the financial benefits of building a cottage in your backyard more and more attractive. So, the costs of building a new cottage are considerably less than the potential money it can bring in rent each month. You have the potential to generate addition income of $7500 per year before taxes and maintenance costs are figured in. One other option to really make a positive impact on your finances is to live in the cottage and rent out your main home. Some locations in the U.S. are making it easy for people to add these cottages to their existing properties. Take Seattle for example. They not only make it easy, but they are encouraging people to take on these backyard projects. The city sees these cottages as a way to add affordable housing without adding additional development through high rises and urban sprawl. Hawaii has allowed for many years what they call Ohana’s in backyards to add living space. 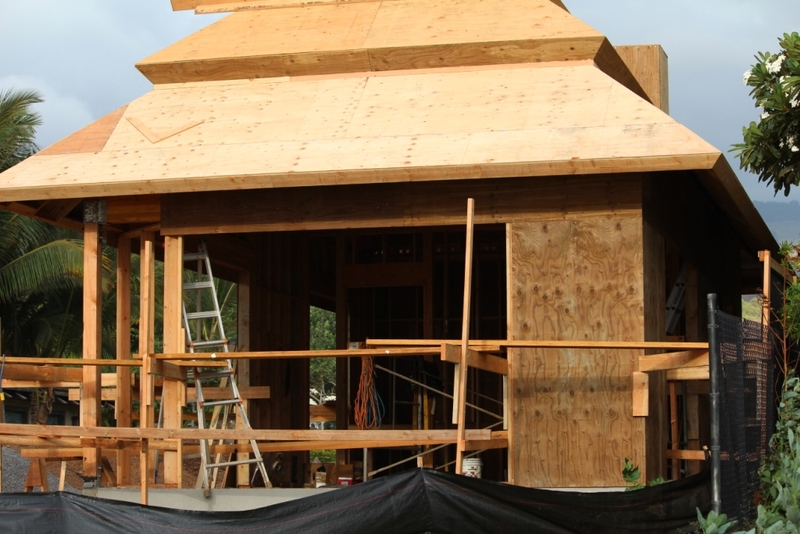 Because the cost of living can be very expensive in Hawaii, building a cottage in the backyard helps families to offset living costs. It’s also a great way to allow extended family to live on the same property. This is where the term Ohana comes from as it means extended family. There are several benefits to taking this particular project on yourself as the general contractor. First, you live on the property so you can keep an eye on things. This helps with quality control and security. Another benefit for owner builders is the land already exists so you don’t need to go out and search for a lot that fits a plan. Prior to doing any planning, you will want to take a trip down to your local building and zoning department to see what the process for approval will be. Depending on where you live, you may need to get a zoning variance in order to start building a cottage in your backyard. Another benefit to building a cottage by owner is the proximity for do-it-yourself tasks. If you decide to take on part of the physical work yourself, you save travel time since the project is right outside your door. And because you can keep a close watch on things, you may save additional time by leaving your tools setup overnight rather than packing them up at the end of each day. We have some great resources for anyone thinking of building a cottage. Check out our ESTORE for some great builder tools that will help you save time and money on your project. Michael Luckado has built, remodeled and repaired thousands of homes across the U.S. He co-founded ArmchairBuilder.com to help you save money and hassles on your building and repair projects. I would definitely love to have a small cottage in the back yard. It’s a great place to do some barbeque sometimes or do games with the family (like charades or something). It can even be the whole family project, they do it themselves. To those going to do it DIY, be sure to think of the safety though.